​The Eclipse Dance Company is a division of ADC ARTS CORP, a non-profit corporation. Under the direction of Choreographer Jennifer Dubilo (executive director of ADC), Eclipse performs at local and regional venues across New England. 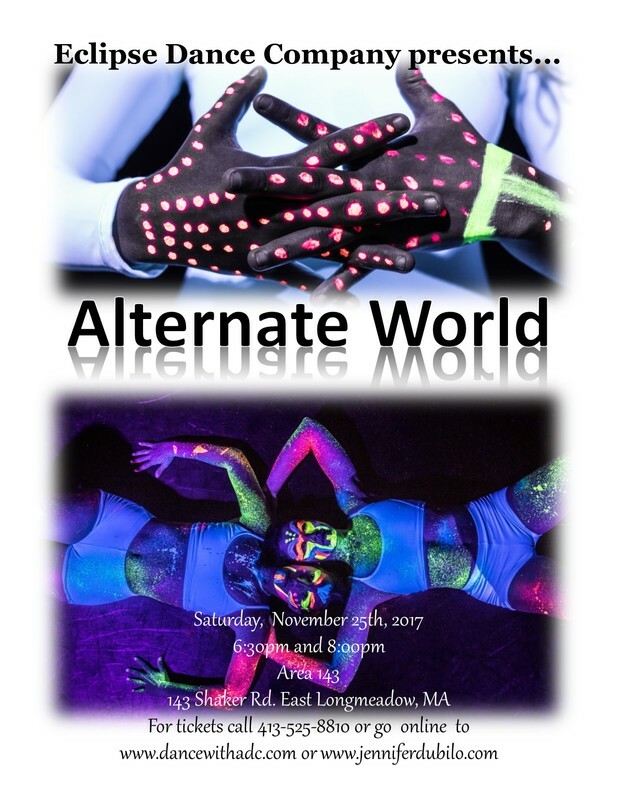 Founded in 2005 with a mission to bring the art of dance to the Western Massachusetts community, Jennifer and her company create dance with a strong narrative element. This unique brand of storytelling creates an engaging atmosphere in performance and appeals to a wide range of audiences. The dancers, each with their own individual experiences in the world of dance, come together to create a diverse mix of performers, committed to the work and sure to entertain.